“There’s a tendency for a lot of people to say, “Okay, we’re done for the day, relax”. That’s never been Paul Swisher’s way. That’s how Swisher ran his earth science classroom at North Tonawanda High School for 32 years. Meticulous planning and execution. He has carried that philosophy into his so-called “retirement” by penning a book on all he’s learned. “Let ‘Em Go Pee: Practical Advice for Those Who Dare to Teach” is a manual of sorts for those who want to teach. Swisher hopes to pass on some nuggets of advice he’s learned for how to manage young people in the classroom and create meaningful relationships in the process. 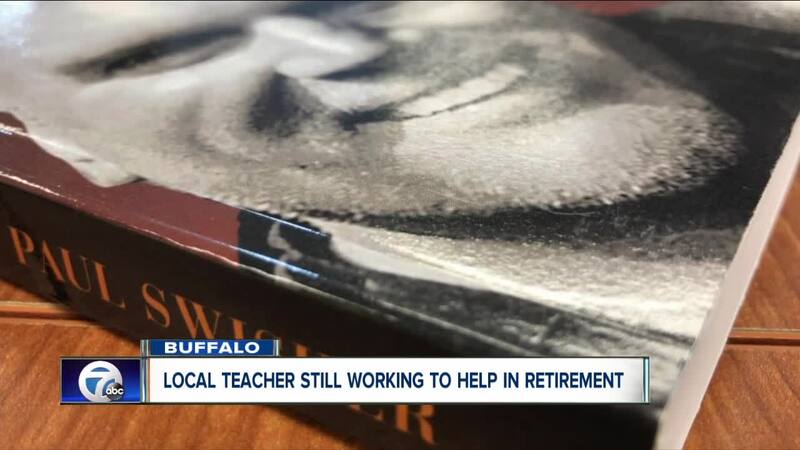 “If you are willing to sow seeds of good will - that's a good vibe and I think that comes off to the kids and they’re willing to work for you,” said Swisher during an interview at his alma mater Buffalo State College. Really the truth is - once a teacher, always a teacher. Swisher isn’t done with the classroom just yet. He hopes that now that is books is in stores he can use this as a way back into classrooms to do some motivational speaking to teachers. To if you’re looking to purchase “Let ‘Em Go Pee: Practical Advice for Those Who Dare to Teach” you can find it on the Apple iTunes store, Amazon, Google Play, or Barnes and Noble.